For the second quilt, I used navy and green squares and rectangles. 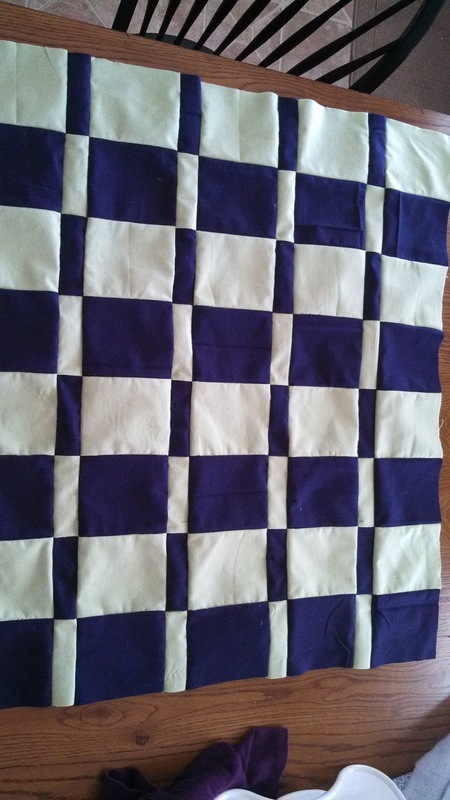 I finished the quilt top on January 6, 2014. 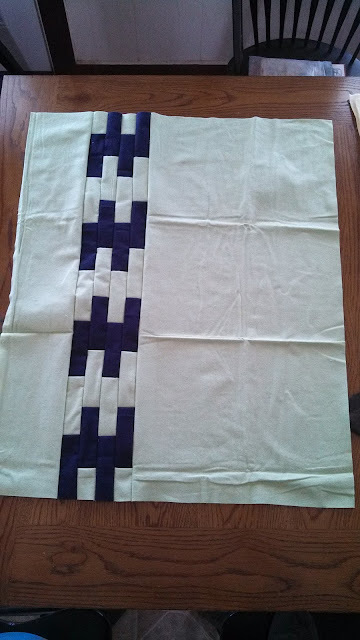 After pin basting, I quilted it using a walking foot and stitching 1/4" on either side of all the seam lines. 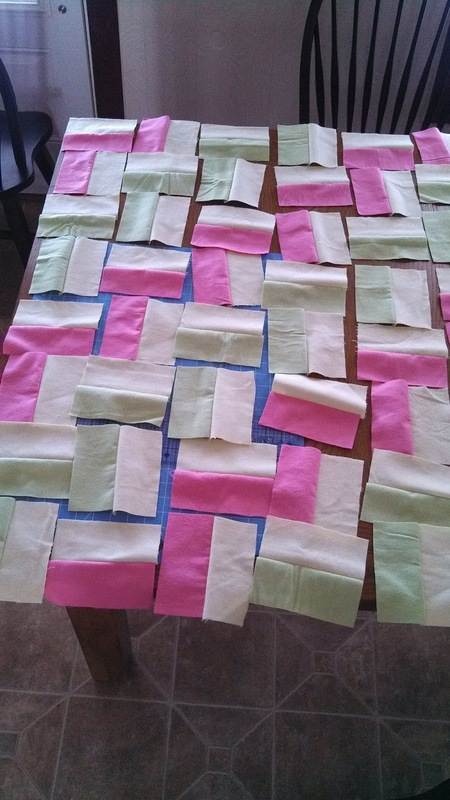 This is my current favorite style of quilting! 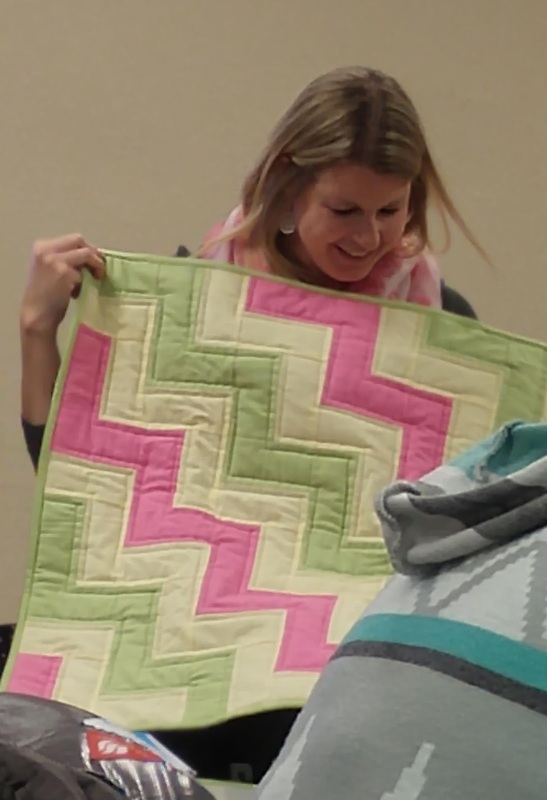 I finished the quilt on December 17, 2015. 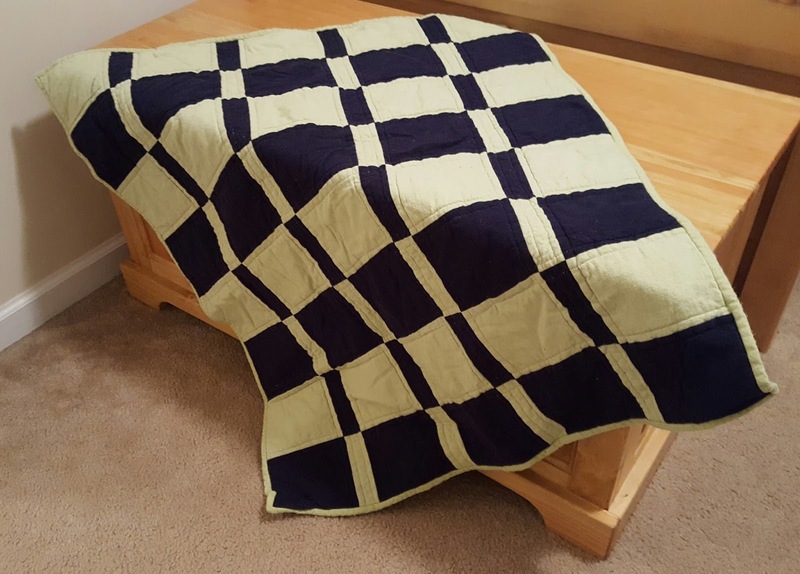 I gifted this quilt to my friend, Laura, as a baby gift for her second son that was born in December 2015. The third quilt used up just a few scraps that I had left. I arranged the navy and green rectangles into an interesting design, then used some of the extra flannel I had purchased for backing to create negative space on either side. I finished the top on January 7, 2014. 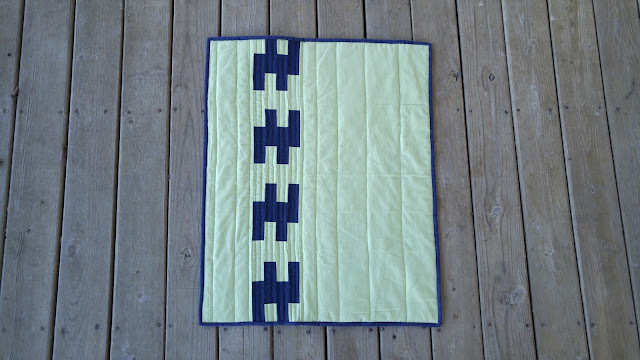 I quilted it with vertical straight lines that increase in distance apart as they move away from the rectangle pieced section. I finished the quilt on December 18, 2015. I haven't gifted this quilt yet. It's nice to have one ready to go for when I may need a baby gift! 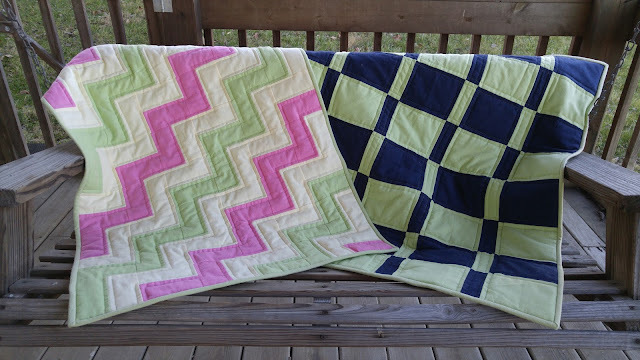 I loved creating so many quilts from another person's scraps!